The situation prevailing among the Arab citizens of Israel is as complex and complicated as their affiliations are. The topic of Arabs who are Israeli citizens is a complex and complicated one, on the one hand because this population sector is far from uniform, and on the other, because of its extant geo-political context. This sector, close to one fifth of Israel's citizenry, includes members of five different religions: Muslims, Christians, Druze, Alawites and Ahmadis, in addition to two non-Arab religions to be found in Israel, the Samaritans and the Bahais. Three main cultural groups can be identified: Bedouin, fellahin (agricultural workers) and urban dwellers, whose sociological characteristics and ways of life differ considerably from each other. Regarding their relationship to the state, it should be noted that the Druze, along with some of the Christians and Muslims (mainly the Bedouin) serve in the IDF, a clear indication of their outlook on the Jewish state. When taking into account the differences found in the "Arab sector" into account, the first question to be addressed is how these Arabs define their identity: some define themselves as an inseparable part of the Arab nation, without referencing religious or cultural differences. In their view, Muslims, Christians and Druze are equal to one another, brothers in arms against the colonialism that ruled the Arab homelands. This idea's foremost proponent was former MK Asme Beshara and the Balad party he founded. According to the party's platform Israel has no right to be a Jewish and democratic state and must become a land of all its citizens, allowing anyone who claims to be a Palestinian refugee or the descendant of one to enter the country and receive citizenship. In contrast to this "Arab" definition, most of the Israeli Arab citizens of Israel define themselves as "Palestinian" citizens of Israel. Palestinian self-definition is a result of the first Intifada (1987-1992) in which they achieved much international and Arab recognition as a distinct people fighting honorably for its freedom, land and rights. The disastrous situation that took over the Arab world from late 2010, termed the "Arab Spring" at first, soon to turn into a horrific bloodbath, caused many Israeli Arabs to refrain from identifying with the violent, internally fractured Arab world and encouraged the development of a particularist Palestinian identity. The Palestinian Authority under Arafat tried to gain control over the Israeli Arab sector, but most, despite their sympathy for the Palestinians of Judea, Samaria and Gaza- rejected his interference totally and unequivocally. Other Israeli Arabs emphasize their Islamic ties, and their inseparable connection to the Islamic nation whose current leader is Turkey's Erdogan. They see a religious problem in the existence of Israel, in that Islam was meant to replace Judaism and Christianity – at least in Islamist eyes – so that there is no justification for a Jewish army, state, police force, land and sovereignty. Jews, like Christians, must be subject to Islam's mercy as "protected ones" (dhimmis) in accordance with Islamic law which grants them only limited rights. Islamists see Islam as lording over all other religions, so that Christians, Druze and all others must live in peace under its protective wings. It is worth noting that a small group of Sufi Muslims who do not share these views and want no political and nationalist issues involved in their beliefs, also live in Israel. The Bedouin and Muslims who serve in serve in the IDF are also totally divorced from the Islamist approach, as led by the Islamic Movement – the Israeli branch of the International Muslim Brotherhood, the organization founded towards the end of the 1960s by Sheikh Abdallah Nimer Darwish of Kfar Qasem. As of 1996, the Islamic Movement in Israel divided into two factions: One known as the "northern branch" because its leadership lives in northern Israel and the other as "southern branch" whose leadership lives in the south. The northern faction is more extreme and dogmatic than the southern branch and feels that Muslims must not take part in the political life of the State of Israel as this means recognizing the state and its existence. For obvious reasons, this faction is not represented in the Israeli Knesset and calls for its members – clearly or by inference – not to participate in Israeli elections. Sheikh Raed Salah of Umm al-Fahm leads the sector along with Sheikh Kamal Khatib of Kafr Kanna. Salah was indicted and found guilty of a long list of crimes, including transferring funds to sister organization Hamas. He spent several jail terms in Israeli prisons and the 13 organizations that form the backbone of the sector were declared illegal in 2015, ending his activities. There is good reason to suspect that some of the sector's activities continue on underground. The southern sector is headed at present by Sheikh Hamad abu Dabbous, who lives in the Bedouin town Rahat, and in the past was headed by Sheikh Ibrahim Zarzur of Kafr Qasim and Sheikh Kamel Rian of Kafr Bara. This sector also does not consider Israel a legitimate state, but reluctantly takes part in the political activity of the state for pragmatic reasons. Muslims, they believe, must try to influence the Israeli political system as much as they can, using the existing means to do so. Its members take part in elections and some are Knesset members. That said, it must be stressed that most Muslim citizens of Israel do not consider themselves members of the Islamic Movement, a fact proven by the group's notable lack of success in becoming a sweeping mass movement. The majority of Israel's Muslim citizens live their private, family-oriented, public and political lives soberly assessing changing circumstances, attempting to improve their personal and group status in a democratic Israel without questioning its very existence. Very few want to live in an Arab state, especially in light of how life in Arab states has deteriorated over the past few years. There is an every growing number of Israeli Arabs who identify with the state and see themselves as Israelis in every way and who feel an integral part of the state. Leading the list is the Druze minority whose sons serve in the army shoulder-to-shoulder with Jewish fighters, and whose record of volunteering for combat units is higher than that of Jewish soldiers. Druze women are exempted from security service, although some volunteer in the IDF and an even larger number in national service, which also has thousands of young Muslims in its ranks. Recently, a group of Christians who define themselves as Arameans, not Arabs, has come to the fore, and they enlist in the IDF with heart and soul. Bedouin, whose religion is Muslim, also enlist in the IDF – and there are even some non-Bedouin Muslims who volunteer in the IDF, and understand that this is the army of the one and only state they can defend. Still, we must not forget that within the Arab sector there are those who carried out terror attacks against Jews and those who cooperated with terrorists during the Second Intifada (2000-2003) for strongly felt anti-Zionist, anti-Israel and anti-Jewish reasons. Others donated funds to strengthen terror organizations, such as Hamas and the Islamic Jihad, and there are those who identified with the terror against Israel and its Jewish citizens. After all, the wave of fires set by Palestinian Arabs in Judea and Samaria four years ago spread into pre 1967 Israel when Israeli Arab citizens followed their brothers' example and mimicked their actions. The conclusion that can be reached from the above is that the prevailing situation among the Arab citizens of Israel is complex and complicated. The question of Arab/Muslim/Palestinian/Israel identity is complicated, since they are all Israeli citizens who enjoy civil rights, but an Israeli identity card is not always a sign of a person's real identity. When the situation is relatively quiet and relations between Israel and its Arab neighbors in Judea, Samaria and Gaza are on an even keel, that has an affect on the lives of Israeli Arab citizens. When the atmosphere heats up, when attacks and pictures of dead and wounded fill the media, there is a parallel rise in tension between Israel and its Arab citizens. Once, there were those who hoped the Israeli Arab citizens would act as a bridge to the Arab world, but that dream did not come to pass, because most of the Arab world saw in the Arabs of 1948 traitors to the Arab nation and Zionist collaborators who did not continue rebelling against Israel. Some called them "Arabs of privilege" who live in a democratic, tranquil state that cares for their welfare, identify with it and enjoy its citizen services. 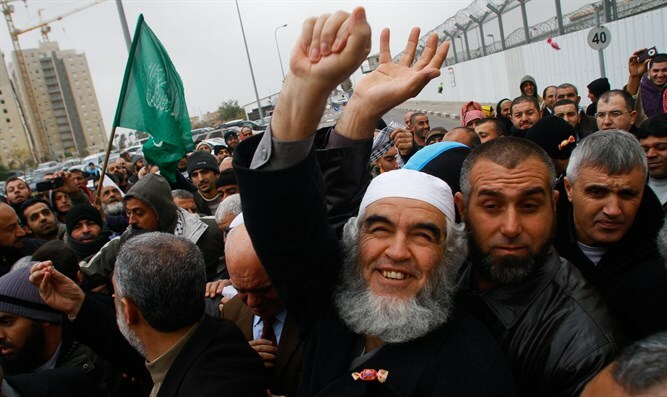 Over the last few years, there is an increasing feeling in the Arab world that the Israeli Arabs are unwilling prisoners of the State of Israel, leading to more positive feelings towards them. The State of Israel must be fair to its Arab citizens, realizing that its national anthem ("the turbulent Jewish soul") does not express their hopes, and that a flag with a Star of David is not their heart's desire. I certainly do not wish to imply that Israel change its anthem or flag, but when it comes to government grants there simply must be equality: budgets, development, roads, employment, industrial centers, construction, citizens' development and economic integration. There must be no gap between Jewish Israelis and Arab Israelis. Fairness and decency must be the operative words upon which Israel's relationship to its law-abiding Arab citizens must be based. 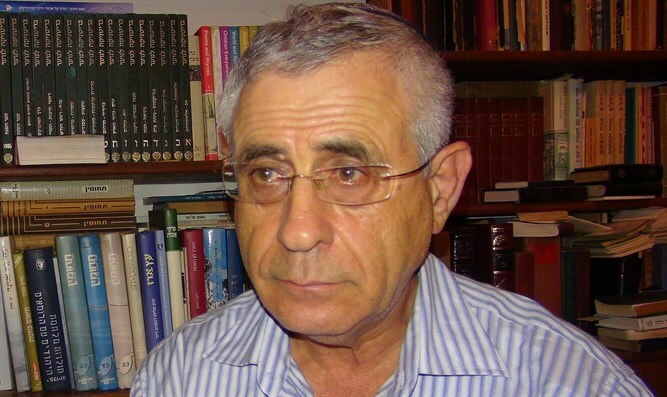 Written for Arutz Sheva, translated from Hebrew by Op-ed and Judaism editor Rochel Sylvetsky.